One of the primary techniques used by Doctors of Chiropractic (D.C.) is "spinal adjustment", also known as a "chiropractic adjustment". In fact, chiropractors are renowned as clinianss who are skilled in performing spinal adjustments. The term "adjustment" refers to the physical adjustment of the spinal vertebrae. The goal of such spinal adjustment is to reduce vertebral subluxation and return the spine to a more natural state of health. The word subluxation is derived from the Latin terms Sub ("less than" or "slight") and Luxate ("to dislocate" or "be misaligned"). Accordingly, vertebral subluxation means the slight dislocation or misalignment of the spinal vertebrae. If your pain has a musculoskeletal origin, we can detect & remove the source of what’s causing you discomfort. At Canyon Chiropractic, our experience is in finding the cause of this pain. Our focused, hands-on approach aims at giving you immediate relief. At Canyon Chiropractic, we give you a personalized plan for your health. This ensures you receive maximum benefits. Our care is thorough & efficient, offering you relief. Chiropractic is designed to remove this pain complex. You feel good when pain is removed. At Canyon Chiropractic we are skilled in finding the source of this pain complex & removing it; giving you relief. When stress is held in your body, tension is created causing pain. Would it surprise you to learn that your muscles may hold stress that push your vertebrae out of alignment? Remember that example of the flickering light? When the wire supplying that light is running smoothly, unkinked, then the light is bright. If the wire is bent, or contorted, then the light may flicker. When your nerves are blocked, contorted, pain is the likely experience. 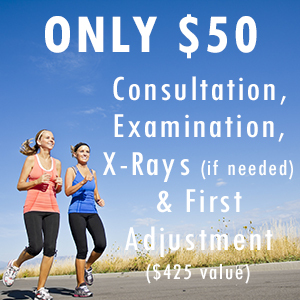 At Canyon Chiropractic our all natural approach offers a focused treatment plan for each person, non-surgically! Many times subluxations are unnoticeable, which means they are potentially causing damage to your body. Subluxation has been referred to as a silent threat. At Canyon Chiropractic, we are skilled in finding what may be the underlying cause (silent threat) of ill health and low energy.